Travel and stargazing go together. Ask any astronomer that lives in the Northern hemisphere about their favourite trip and they’ll always tell you about the time they saw the Southern Cross from Australia. Summer in Tenerife sounds a bit dull? So drive up to Mount Teide national park and witness the most powerful annual meteor shower on the planet. There are countless other dark sky experiences to be had the world over, so next time you’re on the road, look at the heavens above. Besides, no bucket list is complete without either the Northern Lights and a view of the Milky Way in a Moon-less sky. Hunting for dark sky destinations is also a fine way to discover the true wilderness areas of Earth, and the best time to do that is in Winter. Wherever you are in the Northern hemisphere, January is the perfect time to get outside and see the Universe in all its glory. 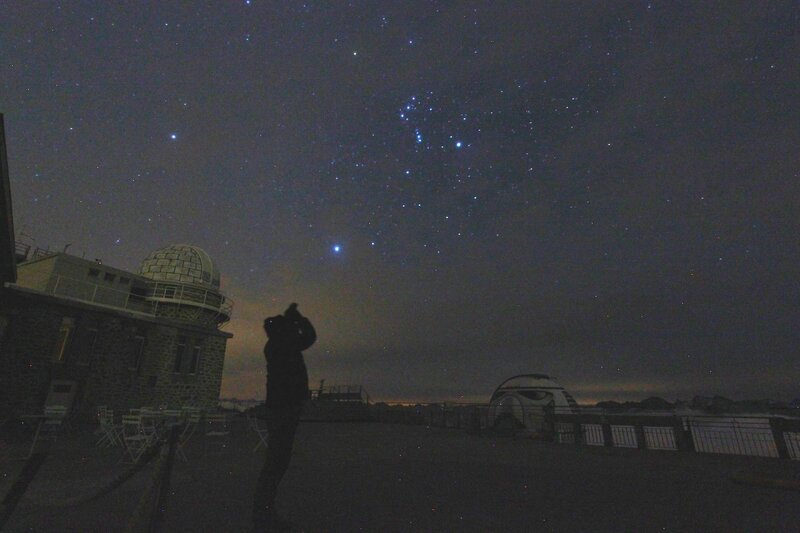 Winter constellations like Orion and Taurus and up, so too is the Andromeda Galaxy, The Plough and the most sparkling sight of all, The Pleiades. For the next two weeks and next TravGear will bring you advice on how to photograph the night sky while you’re travelling – including both star-trails and the Northern Lights – reviews of night sky apps (including one that will help you predict the arrival of the International Space Station in the skies above) and helpful podcasts, plus the odd review of a super-warm jacket and even the world’s lightest, most portable foldable chair that’s perfect for stargazing.